Recycled Plastic Dining Tables are available in various shapes and sizes. 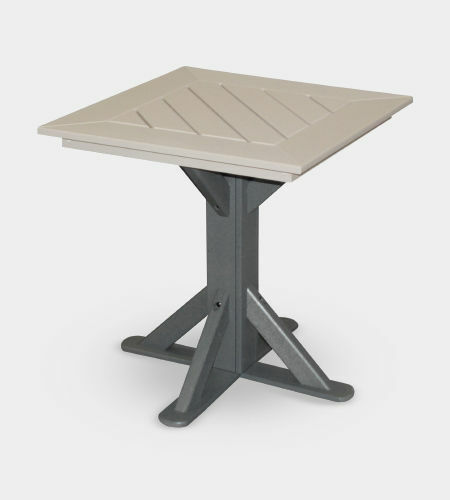 Built on a solid pedestal base, all of our tables are sturdy, yet easily relocated for both residential and commercial application, such as hospitals, resorts and elderly care facilities. ADA accessibility is available on many of the tables. Custom sizes and applications are always welcome.